When it comes to breastfeeding we all know the many benefits for both you and your baby: from transferring the required nutrients and antibodies to your baby; to burning 500 calories a day without having to get off the sofa to sterilise a bottle. However, one issue with breastfeeding that some women struggle with is not knowing how much milk they’re producing and thus worrying that an unsettled baby is a result of them being hungry. It’s common to worry that you are not producing enough milk when in fact you are but your diet can do a lot to boost lactation. The most important step is to ensure you’re eating a variety of foods to get enough calories. It can be tempting to cut calories after having a baby with a desire to lose baby weight but if you’re breastfeeding then it really isn’t the time to restrict yourself. We have compiled a list of foods that not only boost lactation but also keep you healthy and fuller for longer. We are aware that whilst breastfeeding your little one you probably won’t have much time day to day to be slaving away in the kitchen so we’ve offered simple and straight forward recipe ideas for each food item. There are many ways to consume fennel: you can add it raw to salads by drizzling it in olive oil and balsamic vinegar; alternatively fennel’s liquorice flavour mellows when cooked so you could cook it and have it with fish or roast chicken. If consuming fennel isn’t for you, why not try fennel tea? This is an easy way to consume the goodness of fennel and its fenugreek seeds and stay hydrated at the same time. Almonds are a superfood which are rich in vitamin E (supports immune function) and omega-3 (great for your baby’s brain development). In many parts of the world, almonds are considered the best snack for breastfeeding mothers due to the immense healthy properties they contain; some doctors even prescribe almonds for nursing mothers. You can snack on almonds as they are; buy almond butter and use it as a dip for carrot sticks or spread on toast; or add ground almonds to your porridge. It’s worth getting a bag of them and keeping them close by when nursing as a healthy snack. Warning: May contain an occasional nut shell fragment. Oats are the second richest source of beta-glucagon (proven to boost the breastfeeding hormone prolactin) and they’re so versatile you can have your oats a number of ways. Perhaps the most common way to have oats is in porridge. You can simply add a cup of oats into a source pan with some water or milk and bring to the boil then simmer for 5 minutes. From here you can add toppings such as honey, granola or berries. Alternatively, most coffee shops serve oatmeal so you could grab one there. Or a simpler method at home is overnight oats. In a blender, mix banana and milk then stir in some oats and leave overnight. You can add chia seeds, flax seeds, dates or any other items to flavour your oats further. An ideal breakfast to help fuel you and your baby. Sesame seeds are recommended for breastfeeding mothers as an excellent source of calcium for both you and your baby. Many women restrict dairy consumption whilst feeding: either for their own health or because of a suspected dairy allergy in their little one. Sesame seeds are a great way to maintain high calcium levels even with a dairy free diet. Calcium is essential for your baby’s growth and to help you make a full recovery after birth. Sesame seeds can easily be added to salads, stir-fries and even in your overnight oats or porridge. A quick, easy and tasty alternative is to stock up on some sweet sesame seed bars to snack on while you feed. Adding garlic to your foods not only boosts the flavour of your meal, but is also thought to make your milk even tastier to your little one! One study into the impact of garlic in lactation found that babies nursed more often and took more milk when mothers increased garlic consumption. So the increased breast stimulation, in turn, increased the milk supply. You could add garlic to soups, stews and broths in your slow cooker (along with the barley we mentioned earlier). Alternatively, add some garlic to your stir fry for a quick and easy meal. If you don’t like garlic an alternative is to purchase garlic pills. BLACK GARLIC+ helps maintain healthy cholesterol levels and a healthy heart. 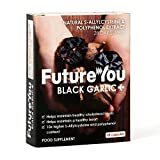 BLACK GARLIC+ is produced by utilizing a unique ageing process. This process delivers a highly concentrated black garlic extract which is free from any unpleasant odour and taste. Each capsule contains a potent 10:1 extract providing 250mg of black garlic. This is equivalent to 2,500mg of garlic in its standard form. BLACK GARLIC+ contains a 10x higher S-allylcysteine and polyphenol content than standard garlic. S-allylcysteines and polyphenols are compounds found in raw garlic. Carrots are full of beta-carotene which is in extra demand when you’re breastfeeding. Carrots are a healthy source of carbohydrates and are an excellent snack if you are wanting to lose weight as they are full of nutrients but low in calories. There are many ways to add carrots to your diet: add them to soups, salads, stir fries and stews and you’ll hardly notice they’re there. Alternatively, peel and chop some carrots up and store them in a container in your fridge- you can then grab them easily just before you settle down to feed your little one. Barley is the richest source of beta-glucagon which has been proven to increase prolactin (the breastfeeding hormone) in humans and mammals. Barley can easily be added to soups, stews and salads. If you have a slow cooker you could easily add barley into a vegetable soup in the day and it’ll be ready for you within an hour. Alternatively, you can purchase barley malt from most health food shops. This is a sweet, syrupy malt made from barley. 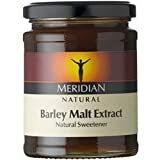 You could add barley malt to porridge or use it in baking as an alternative to maple syrup. Spinach leaves are packed full of iron, calcium and folic acid. Spinach is an essential for recouping anaemic mothers and will provide extra energy for all breastfeeding mothers. It is thought that because the leaves are packed with vitamins they are therefore idea for lactation. Another benefit of spinach is that, like carrots, it is high in nutrients and low in calories so ideal for keeping you fuller for longer and providing some much needed energy. Aim to have at least one portion of green leafy vegetables a day to maintain optimal vitamin and energy levels. Spinach can be added into your stir fry, mixed into salads or blended into smoothies. Research has shown that brown rice is beneficial when it comes to lactation as it stimulates the hormones responsible for milk production. It is also an excellent source of energy for you whilst nursing; mixing this healthy whole-grain rice into meals will help to keep your energy levels up throughout the day. It is high in fibre which will help to keep you fuller for longer. You can add brown rice to your slow cooker meals or serve it with vegetables as a healthy meal. Apricots are a fabulous food to help stabilise hormonal imbalances which is essential for successful breastfeeding. Apricots are also high in calcium (essential for your baby’s growth and your own recovery) and fibre (keep you fuller for longer). Apricots can be eaten fresh, sliced and added to yoghurt or even salads. Alternatively, dried apricots can be eaten alone, with almonds or added to porridge.